Performance Development Group's Build-to-Suit program offers a reliable yet flexible solution to meeting a carrier’s tower network requirements. 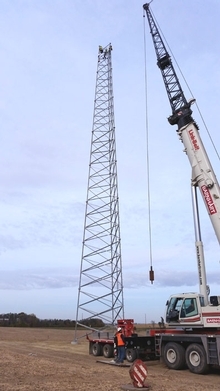 We have the experience and resources to deliver a finished tower deployment on time and within budget. With PDG's Build-To-Suit program, the burdens of tower siting, including zoning, construction and maintenance are removed, thereby reducing your initial capital expenditure. Built-To-Suit allows carriers to direct their focus to the core aspects of their business to remain competitive.